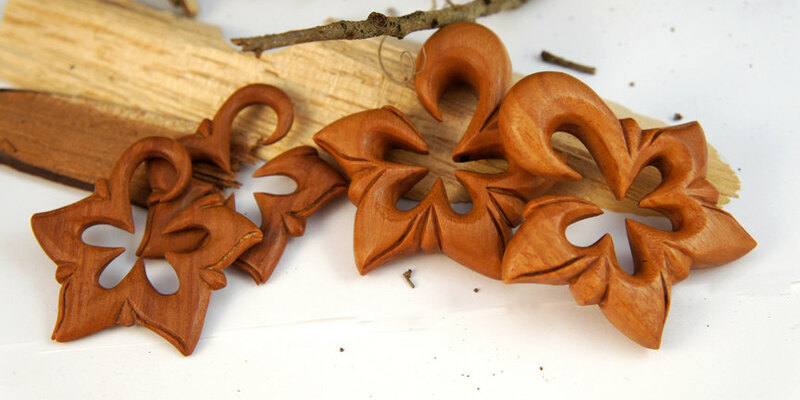 These Hawaiian themed gauged Floral Earring Hangers are beautifully carved from Sono Wood. Ear gauges are sold as a pair. The 5-point star patterned floral design wraps up towards the ear hook portion of the hangers to create a stylized layered look. These flower gauges will make an excellent conversation piece that is sure to get noticed. If you don't see your gauge size listed please feel free to contact us or check back later since we're constantly restocking or adding new sizes and styles to our line.